We’ve come to think of Rāgānugā Sādhana as an “advanced” practice. From what I can tell by considering what I have considered, it is more of a practice that evolves from a simple to a more advanced stage. There are advanced practitioners of Rāgānugā Sādhana and there are also beginners. Their qualifications and activities are the same in substance but different in quantity and depth of specificity and purity. Dhyānacandra Goswāmī gave a very full, advanced version of Rāgānugā-sādhana in his Gaura-Govinda-Ārcana-Smaraṇa-Paddhati, which is practical only for those with very high qualifications: (for example) freedom from rajas and tamas and their impulses to karma, and thus the ability to meditate nearly 24 hours a day. Śrī Rūpa, however, gave a definition in Bhakti-rasāmṛta Sindhu which can scale easily to accommodate the initial as well as the advanced approaches to the path. I’ll try to show how Śrī Rūpa’s definitions pertain to those just getting started with Rāgānugā-Sādhana. His definition of how to practice starts with 1.2.294. He starts off by saying kṛṣṇaṁ smaran – “remember Krishna.” The word smaran is not esoteric. It is the essential principle of vaidhi-sādhana as well (smartavyaḥ satataṁ viṣṇuḥ, BRS 1.2.8). Then he says janaṁ ca – “[remember Krishna] with his devotee.” That’s the hallmark of this (asya) type of sādhana, not found in vaidhi-sādhana. We always think of Krishna with his devotees. This implies some adhikara. Specifically, its impossible to do rāgānugā unless we have some natural hope to love Krishna in a somewhat specific way. (laulyam/lobha). We don’t need to be freed from rajas-tamas and qualified for constant samādhi meditation to begin rāgānugā-sādhana. 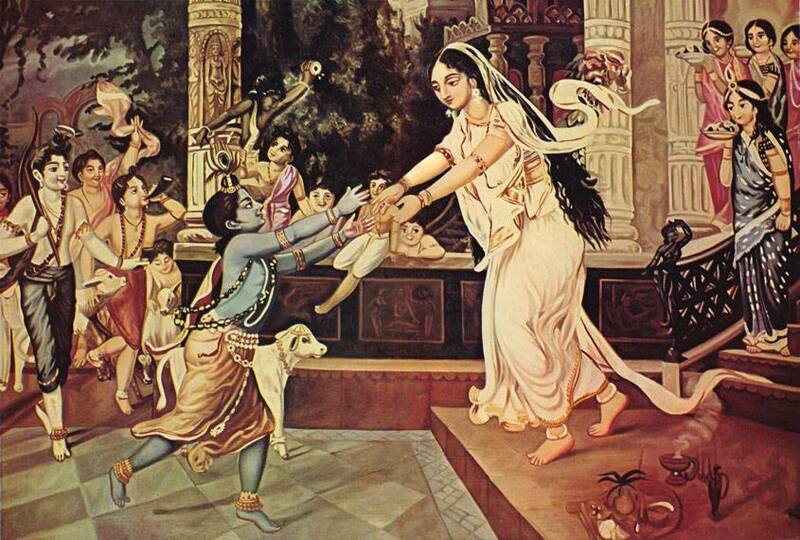 We just need a natural, clear, steady aspiration for a specific type of love of Krishna. That’s the actual bar, below which its not possible to even begin rāgānugā. Then he adds, kuryād vāsaṁ vraje sadā. “Always make your residence in Vraja.” On one hand this is a practical advice: if I want to always hear about the love of Krishna and a particular devotee, my best bet is to surround myself with others who have similar interests. So I should move to Vraja. On the other hand, it could mean “If you constantly hear about the love between Krishna and the devotee you admire, you will effectively always be living with them in Vraja.” The second interpretation seems better, since not every rāgānugā practitioner lives in Vṛndāvana. Even Mahāprabhu and his extremely elevated associates lived in Pūri. Now, we come to 295. This one is about seva, “service.” We have to do 294 before we are capable of doing 295; we have to cultivate interest in and familiarity with Krishna’s relationship with the devotee we admire, before we can come to the instructions in 295, which advise us how to apply that information to our practical sevā. The verse is about sevā – that is the topic. Sevā has two forms (the rūpa of the practitioner is not the topic, the rūpa of seva is the topic): a practical form (sādhaka-rūpeṇa) and an ideal, perfect form (siddha-rūpeṇa). In this rāgānugā path (atra) sevā must operate through both forms. We must execute the practical form of the seva but the more important (hi) aspect is to also (ca) be participating in the ideal, perfect form of the seva. A very advanced practitioner could follow Dhyānacandra Goswāmīs system for elaborately envisioning the ideal form of seva, but it is not necessary. The new practitioner of Rāgānugā simply performs their external deeds (performing kīrtan, worshipping the deity, cleaning the temple, etc) while maintaining awareness of the internal significance of that deed, in the context of the relationship with Krishna that he or she aspires to. Here the words intelligent (manīṣībhiḥ) and realized (vijñeyāni) refer to doing the external form of these practices (sādhaka-rūpa) with awareness and focus on the internal relevance of them to ones cherished devotional ideal. To do this sādhana doesn’t require freedom from lower modes, etc. But it does require that one have a natural and clear interest in a particular type of relationship with Krishna. It doesn’t require 24 hour meditation, or any elaborate system, although advanced practitioners can avail themselves of such systems. It simply requires that one hear about Krishna’s relationship with his beloved devotee, and try to emulate the spirit of that love when performing ones normal devotional practices.